The Sno Tek Glove takes care of cold hands thanks to the power of Thinsulate. 150 grams of this synthetic insulation keeps hands warm while maintaining dexterity so you can easily any task at hand. The Aqua-Tex waterproof insert keeps moisture at bay and it will never wash or wear off, so you are sure to stay dry no matter how many times you wear them. And the adjustable wrist strap and gauntlet cinch down to keep out cold gusts of wind. "Is there a way to hang / connect glove to your ski jacket?" "Thank you for your inquiry. 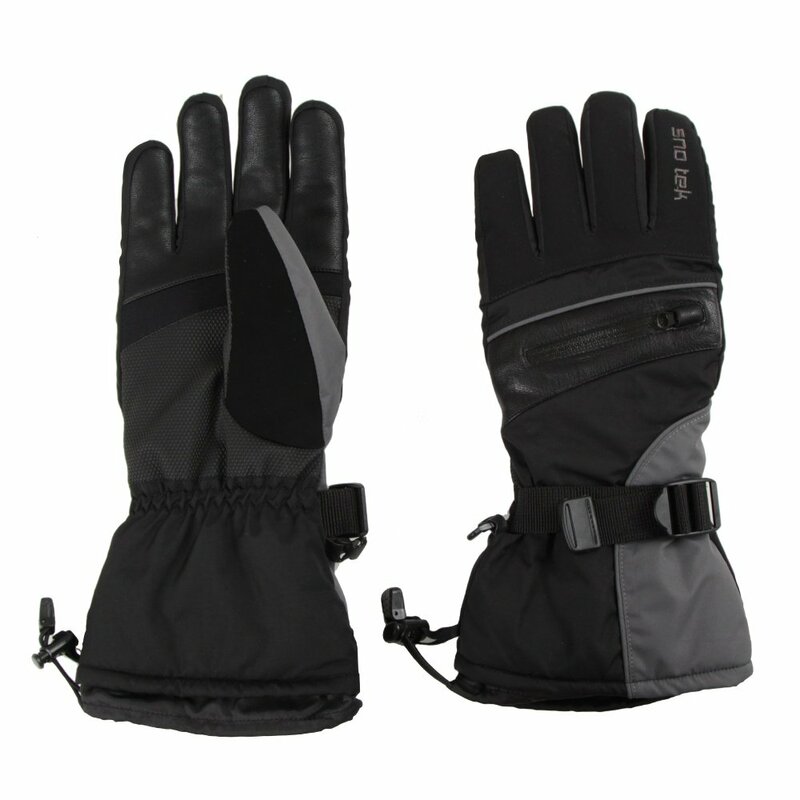 We would recommend purchasing mitten/gloves clips if you would like to attach the Sno Tek Glove to your jacket. We hope this information helps!"